He was educated at Epsom College, King’s College London and the College of Law. He holds the degrees of LL.B, FKC, and Honorary Degrees of LL.D from universities in the UK and Hungary. He is Honorary Professor of Law in the University of Swansea. He has held numerous judicial roles, including Recorder, Deputy High Court Judge, and Chair of the Competition Appeal Tribunal. For 10 years he was a member of the General Medical Council. He was the Independent Reviewer of Terrorism Legislation from 2001-11, and was awarded the CBE for services to national security. He is a former Freedom of Information Commissioner. He has written numerous reports on counter terrorism issues. He has conducted 3 major reviews connected with child safeguarding. He was the author of ‘Too Serious a Thing’, a comprehensive review of the safety of children in the NHS in Wales. He writes frequently for the print media, and is a frequent broadcaster on the law and national security. He is a founder director of the political risks consultancy SC Strategy Ltd. He is a former MP and an active member of the House of Lords, where he now sits on the cross-benches. He has appeared in many notable cases, for example the successful defence of the late Princess Diana’s butler Paul Burrell. In latter years his cases mostly have been major fraud trials, for example R v Rastogi and others, the largest fraud connected with the London Metal Exchange. He has prosecuted and defended in scores of Murder cases, and cases involving child sexual abuse. He has wide experience of administrative law, the law and practice of Parliament, and all areas of public policy. He no longer accepts instructions in long trials. 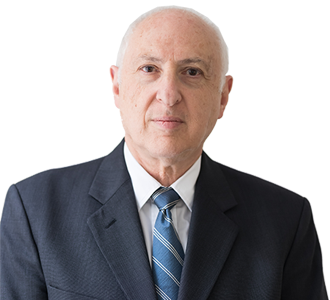 He is available to provide strategic advice, and is available for shorter cases, inquiries, discrete legal arguments on points of public interest, and like issues.